Giving gifts in East Asia, particularly in China and Japan, follows a strict set of etiquette based on traditions, superstition, and even numerology. The rules of saving face also apply, particularly when giving and receiving gifts. While gift-giving etiquette in Asia varies by country, some guidelines are consistent throughout China, Japan, Korea, and surrounding places. If you’re invited to someone’s home or a banquet, you should bring a gift. Don’t panic, but choose wisely! Generally, gifts are given to show gratitude, including as a way to thank someone for a hospitable act. If you are invited to someone’s home, you should bring a small gift. In Asia, gift exchanges are often separate, one-way giving events. Don’t be surprised if your meager gift is later or immediately reciprocated by something larger or more expensive! You’ll most likely receive a thank-you card or at least a phone call thanking you for your gift. Avoid gifting a single person when in a group setting (e.g., at a business meeting). Instead, gift the entire group or wait until you are in private to gift an individual. When visiting someone’s home, the best gifts are ones that the entire family can use. Choose meaningful trinkets over expensive items to avoid making your host feel pressure when reciprocating. Some gifts to avoid include clocks, towels, and handkerchiefs, as they remind people of sad goodbyes and funerals. Knives and sharp objects should also be avoided. Even a harmless umbrella can be symbolic of ending a friendship! While giving bamboo or other living plants may be OK, choosing flowers is an intricate matter and should be left to the experts. Cut flowers are generally not a good idea, as they will die. Avoid all white and yellow flowers as they are used at funerals. Whenever possible, find a way to spruce up the presentation of your gift, as it may not be opened immediately. The presentation is just as important for the occasion as the gift inside. Avoid leaving items in their default bags. Instead, wrap the gift or find a different bag. Gold ribbons indicate fortune and wealth. Red packaging is the best outer color for most occasions. Pink is an acceptable color. Gold and silver work well for weddings. Blue, white, and black packaging should be avoided because they remind people of funerals. While red is the most auspicious color for packaging, avoid writing cards in red ink. No matter how much time or effort was put into selecting and wrapping something, you should downplay your gift as insignificant. Don’t use the giving as a way to draw attention to yourself. Don’t ask to photograph people holding your gift unless they offer. Expect that your host may politely decline your gift several times before finally relenting. This is simply custom and does not mean that they aren’t happy about your gesture. Express gratitude that your gift was accepted. If your gift is refused more than three times in a business scenario, it may be because gifts are simply not allowed. Don’t be surprised if your gift is simply put aside to be opened later. Gifts are often opened in private to avoid any potential embarrassment and loss of face for either party. Giving gifts in business settings is a tricky matter; etiquette varies according to circumstance and country. Gifts, even if seemingly innocuous, could come across as a form of bribe. In general, gifts should be given only after negotiations or contract signings are completed, to ensure that they did not sway the deal in some way. Remember, you are gifting the ‘company’ from your company, not just one or two individuals present at the meeting. If you wish to gift individuals, it should be done privately and not in the context of business. In the Western world, 13 is generally considered an unlucky number. The equivalent in Asia would be number 4. 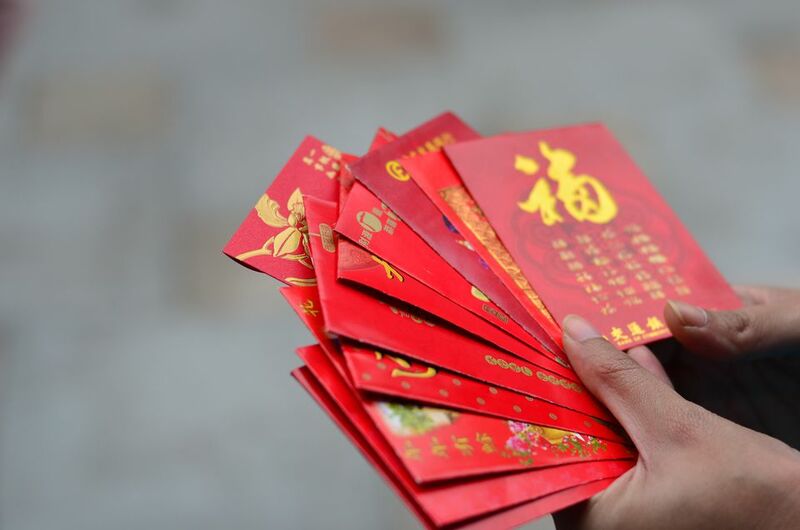 In China, Korea, Japan, and even Vietnam, the number 4 is considered extremely unlucky because it sounds close to the word for ‘death.’ Avoid giving gifts in a quantity of four at any cost! Other unlucky numbers include 73 and 84. When possible, opting for pairs of something is always better than singles. For example, purchase a pen-and-pencil set rather than a single pen as a gift. If you are offered a gift, you should kindly refuse to accept at first, claiming that “no gift is necessary.” In the end, always accept the gift! Receive your gift with both hands and compliment the attention to detail or wrapping job. Expect to put the gift aside to open later in private, however, you can ask your host if you should open it now. Some gift givers may want to observe the Western custom of opening a gift immediately. At a later time, write a short thank-you card or send a small token as a gesture of gratitude for your gift. If reciprocating isn’t possible, at least call in a few days to express appreciation. Are You Brave Enough to Handle Driving the Roads in Asia? What's the Legal Drinking Age in Asia?